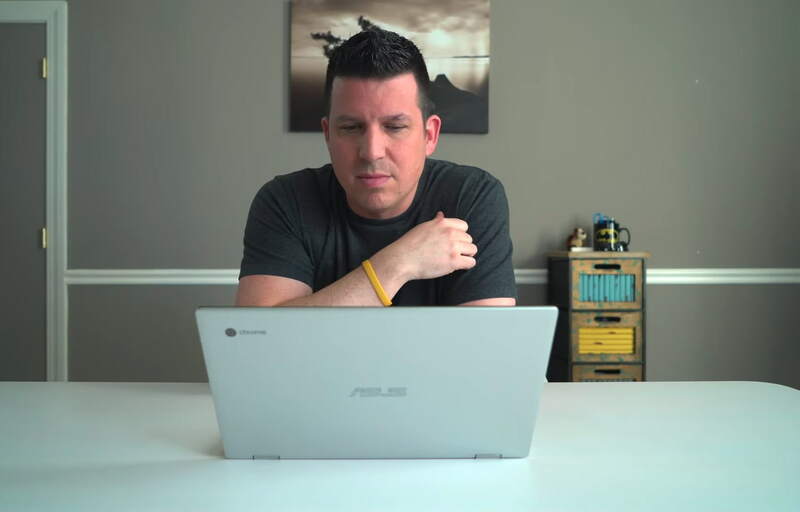 The time has finally come: The ASUS Chromebook Flip C434 is in the house and we’re cracking it open to take a first look at the production-level hardware. For those of you who are around the site or YouTube Channel on a regular basis, you’ve undoubtedly heard us talk about this device and likely saw us get an early hands on with it in Las Vegas back in January. Since then, we’ve been eargerly awaiting this Chromebook along with many of you who’ve expressed the same excitement as us. The overall package is compelling, for sure, but the price looks to be a tad higher than some were hoping for at $569, especially with the 4GB of RAM in this particular model. With the ultra-small bezels, nice display, full speakers, aluminum build, backlit keyboard, convertible form factor, light/small/portable body, and latest-gen processors, I think the price point is reasonable. That being said, we’ve seen these mid-high-end Chromebooks get almost immediate discounts and then continue to see markdowns on a regular basis. Unless you are an early adopter or aren’t bothered by the price at all, there’s a good chance that a bit of patience may go a long way in saving you some cash. Additionally, there will be other models on offer, too. Promevo already lists a model for $599 with the same Core m3 and 64GB of internal storage as the unit we are testing, but bumps the RAM up from 4GB to 8GB. Additionally, there will be Core i5 and i7 models on offer with up to 16GB of RAM and 128GB of internal storage. As we always do, we’ll spend some time putting this beautiful Chromebook through the paces, so subscribe to the YouTube channel if you haven’t already so you don’t miss the first impressions and full reviews coming soon.